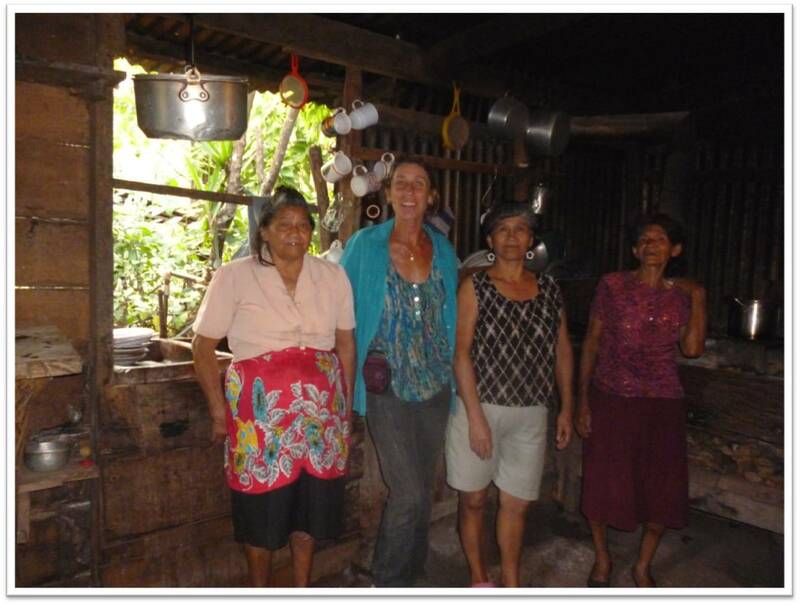 Liz and the “Tres Hermanas” who host us for lunch in their home on the Rainforest Trek. Barking Horse Farm Treks were created as a way to connect cultures. Many tourists visit Costa Rica without ever really getting to know the true ‘Tico’ culture or experience true ‘Tico’ hospitality. Liz has been living and working in Central America for over 2 decades, always giving back to those around her. She knows and loves what the Central American culture offers and truly believes that the only way to experience a place is through real cross-cultural exchanges. On the treks, when we stay with ‘Tico’ families in their homes, they welcome us for home cooked meals and share their lives with us. Many of them are local farmers who have lived in the same home for generations. The BHF Treks offer these people a way to enhance their lifestyles through meeting people from other countries, and the payments they receive for their meals and accommodations make a huge impact on the growth of their lives. Bringing you into rural ‘Tico’ families’ lives, they experience a whole new world they would never normally encounter. The interactions we are able to create for them expand their ideas of the world and reduce their isolation. More than one have told us that while the financial support is beneficial, it’s the chance to meet people from across the world that has truly enriched their lives. Money made on our treks goes back into the care of our horses and the people who help make the treks possible. It can cover things such as medical expenses, (like a family where we stay who was waiting for a kidney transplant for their son), improve living conditions (a young family with a new baby was able to replace their dirt floor with ceramic tiles), and help families like the “Tres Hermanas” purchase basic groceries for the month. Be a part of their journey as we take you on one of your own!